Recently Apple announced the support for fragmented MP4, or fMP4, in HTTP Live Streaming protocol. This allows the content to be played in HLS without the need for the traditional MPEG-2 Transport Stream container. Now proper support for fMP4 is available in latest versions of Apple's operating systems - iOS 11, macOS High Sierra and tvOS 11. So if your viewers have appropriate devices with latest OS updates you can use full power of HLS for live streaming. 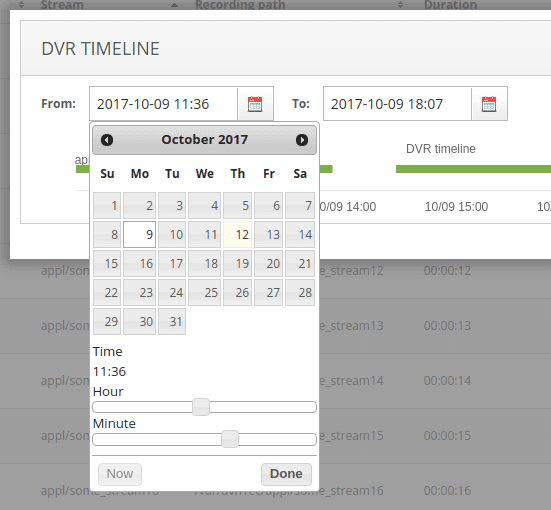 Nimble Streamer is the first software media server which has full support for fMP4 in HLS for live streaming scenarios. Let's see what features of our products can be used to utilize that new capability. H264/AVC is fully supported in Nimble Streamer for all protocols that are able to carry it. 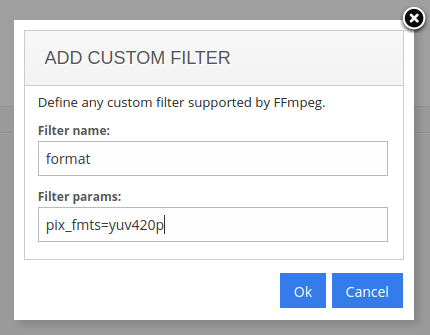 As H.264 is the default codec for HLS, it's been in our server from the beginning, so now Nimble is capable of delivering it with fMP4 in live mode. fMP4 HLS with H.264 can be generated by both transmuxing and transcoding. Nimble Streamer allows taking RTMP, RTSP, MPEG-TS, SRT, UDT and HLS as input with H.264. Transmuxing engine of and re-packaging it to fMP4 of HLS. Whatever protocol is used, Nimble handles it equally efficient. You can read this article to see some examples of low resource consumption. Live Transcoder allows generating the AVC content which is fully compatible with HLS via any container. It takes content via same protocols as transmuxing engine to perform further transformations. They include decoding with software decoder, Intel QuickSync or NVidia hardware accelerator. Having the decoded content, transcoder allows applying any available filters and then do efficient encoding. Encoding can be done with libx264, libVA, Intel Quick Sync or NVidia NVENC. 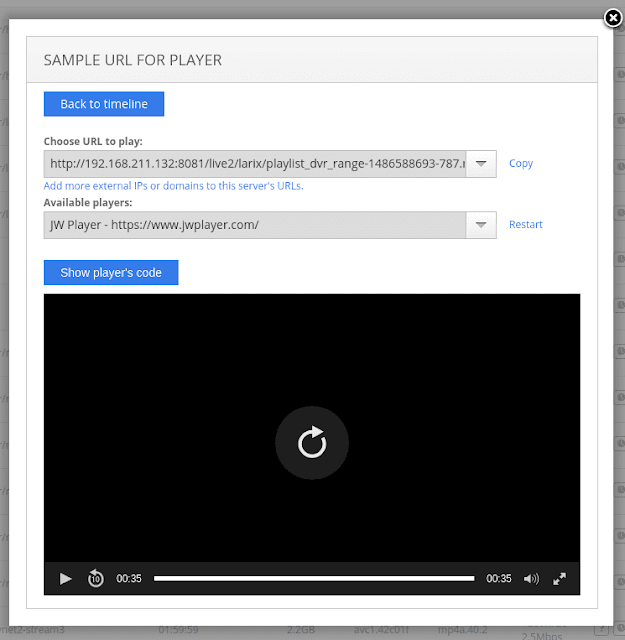 Transcoding scenarios control is available via drag-n-drop web UI dynamically without stream interruption. Just move scenario elements and apply settings - your users will see transformations in a few seconds. Nimble Live Transcoder has low resource usage and high performance which you can see in a benchmark test with Tesla M60 made in IBM Bluemix Cloud Platform. Nimble Streamer has wide support for H.265 (HEVC) in both transmuxing and transcoding. 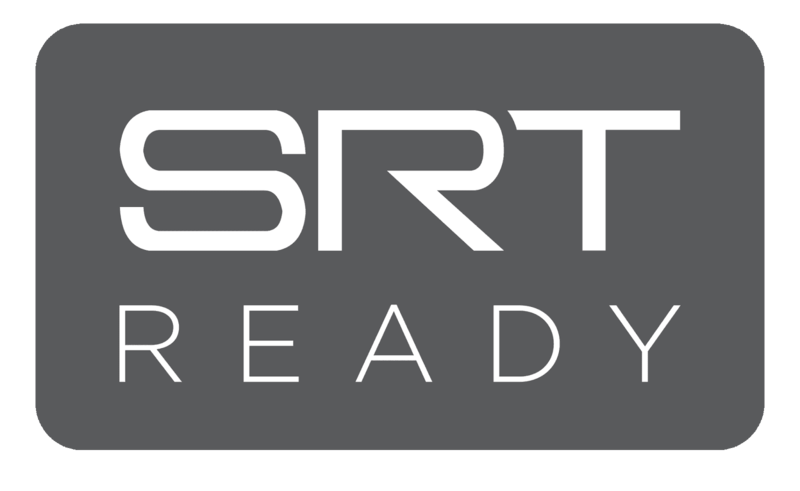 HEVC can be taken for processing via RTSP, MPEG-TS, SRT and UDT as input. Transmuxing of protocols which contain HEVC is performed with the same highly efficient re-packaging engine as used for H.264. Live Transcoder generates HEVC content fully compatible with fMP4. It allows decoding HEVC with software decoder, Intel Quick Sync and NVidia hardware. The encoding currently can be performed only on hardware using Intel Quick Sync and NVidia NVENC. All filtering and web control dynamic capabilities are available for HEVC the same way as for other codecs. So HEVC content delivered with HLS can now be played on all compatible devices with latest OS updates. One of HLS innovations is the ability to combine H.264/AVC and H.265/HEVC streams in the same adaptive bitrate stream. This allows using appropriate codecs for proper resolution according to products requirements. Nimble Streamer provides an easy way to create and use ABR streams with this new capability. This process is described in ABR streaming setup article. You can see how you can combine streams and use them as you need. SRT via Pull and Listen. To enable fMP4 streaming, on your Live Streams Settings page you need to select HLS (FMP4) checkbox. This will un-check "regular" HLS and HLS (MPEGTS). The first option generates standard HLS chunks. The second option can be used for audio-only streams with MPEG-TS chunks. Warning! After you enable fMP4 for your application or for the entire server, its streams will be played well only on appropriate Apple devices. All other playback devices and software like Android or PC web players will not be able to play it. We recommend creating a separate application for fMP4 delivery if you have different target platforms for your streams. This may definitely change in future but for now you need to consider this factor. In addition to fMP4 you can select any other supported output protocols as shown on a picture below. As in any other live streaming scenarios, the result output streams can be found in Nimble Streamer -> Live Streams page in Outgoing streams section. You can take a look at setup example in RTMP transmuxing article. To set up and use adaptive bitrate streams with fMP4, follow the ABR streaming setup article. 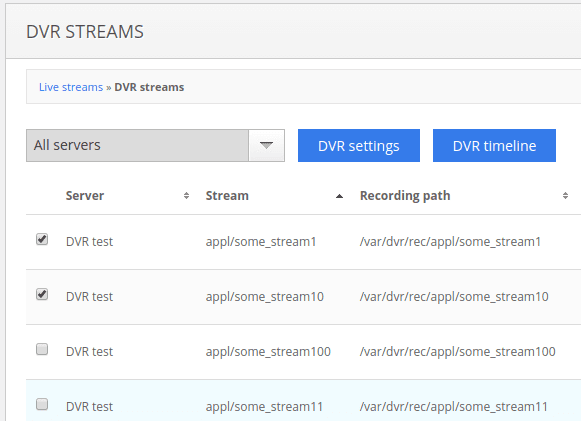 Nimble Streamer DVR feature set has full support for fMP4 recording and playback. So if you set up DVR recording for fMP4-enabled application or server, both MPEG2TS and fMP4 playback will be available simultaneously via different URLs. Both HEVC (H.265) and AVC (H.264) codecs are supported. Regarding H.264/AVC or H.265/HEVC transcoding setup please refer to the links located on our Live Transcoder main page and our Transcoder setup video guides on YouTube. Nimble Streamer also supports fMP4 for VOD HLS for both H.264/AVC and H.265/HEVC content. It also supports ABR VOD via SMIL files. Feel free to contact us regarding any feedback or issues of this capability. Nimble Streamer allows publishing live streams to various types of destinations, like other media servers, CDNs, YouTube or Twitch. Facebook Live platform allows taking RTMP streams as input, so Nimble Streamer users can use that as a target as well. The setup and usage is simple so we'll show you how to do it. Once the input stream is received by Nimble, it can be re-published via RTMP to Facebook . Let's see how this can be set up. Live Transcoder for Nimble Streamer is being used by various companies around the globe in many live streaming scenarios. However, some customers run into typical problems which they address to our support. Some typical troubleshooting techniques for Nimble Streamer itself are described in Before you post a question to helpdesk article. We'd like to describe Live Transcoder issues that appear in some cases and can be solved by the customer. Nimble Streamer goes offline, it's shown as "offline" in WMSPanel account. Both errors indicate that your server cannot encode all streams in time. The second system error shows that Linux Kernel shut down the process due to Out of Memory condition. As a resolution, you should decrease the number of encoded streams on this server. You could set up another server and encoder and make those extra streams be processed there. Speaking of the memory, you should also check and set up proper RAM cache size to and make sure that value is enough to store your live stream chunk cache. This means you need to change pixel format. Open your scenario and add new custom parameter "format" element prior to your encoder element. The parameter name will be format and the value will be pix_fmts=yuv420p as shown on this picture. Once you apply settings, the error error should be gone. This means you don't have NVENC driver installed or properly set up in your system. Q4: What NVENC drivers should be used? We highly recommend using official NVidia drivers. We may decline requests for technical support in case if a customer uses any un-official or "patched" drivers from any third-parties. with additional info about installation procedure. First please try re-starting Nimble Streamer and try that again. If that doesn't help, you may need to install update KB2533623 by Microsoft. Please follow this instruction to make update and then re-start Nimble Streamer. The res=2 flag means that NVENC ran out of memory and couldn't create proper amount of contexts for content processing. You need to use context sharing approach described in this article. This also indicates too many contexts in use. Please refer to Q5 for more details on how to use context cache and find the right number of contexts. Sometimes streams are published to external destinations like Akamai or other CDNs with un-synced video and audio. This may be caused by the originating encoders. Try applying interleaving compensation to your streams to eliminate the un-sync. When a stream is up-scaled via filter (e.g. from 29.97FPS to 59.94FPS), the closed captions are doubled in the video stream. Closed captions are embedded into frames, FPS filter duplicates frames with all side data, and this leads to duplicated characters. To fix that, add video_filter_preserve_cc_enabled = true parameter into Nimble configuration file, read this article for more details about configuration change. Feel free to contact us if you have any other questions or issues with Live Transcoder.